The Jelly Inside a Shark’s Nose is More Electrically Sensitive than any Man Made Material on Earth « Adafruit Industries – Makers, hackers, artists, designers and engineers! A biological material that has existed for millions of years may find new applications in modern electronics. 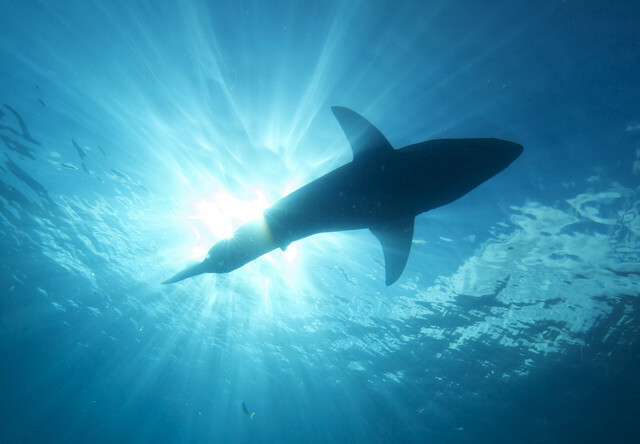 A team of scientists from UC Santa Cruz, the University of Washington, and the Benaroya Research Institute at Virginia Mason discovered that shark “jelly” is the highest proton conductive biological substance ever found, according to GizMag. In plain English, that means the material is extremely good at detecting weak electrical signals from great distances away — something that scientists and engineers believe could be useful in future sensor design. Sharks, skates, and rays all have the sensitive jelly, which is what allows them to detect the presence of tiny fish from extremely long distances away. The jelly is found in ampullae on the skin. As you may recall from ancient history class, the word ampullae (plural for ampulla) refers to a kind of two-handled flask used in early Roman times to hold sacred oil. Biologically speaking, the word refers to a network of tiny jelly-filled pores that collectively act as a electroreceptor system. These were first discovered in 1678 by Stefano Lorenzini, and have since been called the “ampullae of Lorenzini” or AoL for short (which is amusing in its own right). The jelly inside these AoL is the magic sauce that makes the whole “find-that-fish” system work, because of its high degree of proton conductivity. Proton conductors are substances that can carry an electrical charge. Most are solid, usually made of ceramic material or polymers. The most common application of proton conductors is with small fuel cells, usually made of highly conductive polymers. Now it turns out that shark jelly is only slightly less conductive than polymers designed in the lab. Perhaps there will be applications for shark jelly in fuel cell design. The potential use of shark jelly in biomedical sensors where slight signal strength changes could indicate brain activity, cell state change, or any number of biomechanical, biochemical, or bioelectrical changes or fluctuations may be even greater.